There are 7931 Listings Available! View the Matterport tour of this beautiful single owner home that has been meticulously cared for. Feel free to read my blog on Active Rain so you can see how my commitment to our industry and internet marketing! 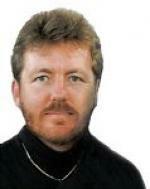 1) Keith Borup of Borup Construction told me years ago that I sold more homes for them than any other Realtor! 2) Curt Chipp of Woodbrook Homes said: "Thanks for the great job finding me the infill lots I was looking for - but why didn't you just buy them yourself instead of selling them to me to profit on?" 3) Troy Quick of Troy Quick Custom Homes said: "We have worked with a lot of different Realtors and we are glad to have you representing us on your homes again!" Translate my Idaho Real Estate Website into other languages! Boise Idaho Real Estate Brokerage. Check our references to see why we are an A+ rated company with the Better Business Bureau. Our motto is "If you had all the answers, we would be unemployed - so ask us lots of questions". We are prepared to earn your business. As the owner/broker of Progressive Realty Corporation, my objective is to set the standard for my agents to follow! Call me to see the difference that nearly 25 years of local experience makes! I have at worked four major real estate franchises and always felt there was something they could improve on. Therefore, I have reverse engineered Progressive Realty Corporation based on recognizing the strengths of my previous affiliations with Realty World, Coldwell Banker, John L. Scott and Re/Max. I believe in empowering the consumer via the internet. In July 2008, I became the only Certified EPRO Trainer living in the State of Idaho for the National Association of Realtors. In this capacity, I help other agents receive their EPRO designation to prove their competence in using today's technology to help facilitate their real estate business. I welcome the opportunity to be interviewed to be your exclusive Realtor! I want to make you the beneficiary of my nearly 25 years of experience and knowledge of the financial, investment, tax and building sides of the real estate. I am so confident that if you select me and for some reason change your mind, I will cancel our agreement if I can't resolve your conflict within 24 hours! If you are looking for an agent with a specific field of expertise that I am not proficient in, let me know and I will have one of my other agents take excellent care of you. Give me a call and see the difference my experience will make in getting you the best possible price with the least possible problems! Thank you. I have closed brand new homes with over 00 local builders, so if we can't find the right home, let's have one built! Let me put my experience and Broker's License to work for you! Find out more information about local Idaho builders and view their model homes. Make looking for a home easy. 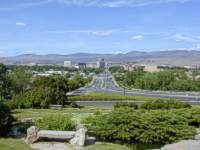 Search for any listed property in Boise Idaho and the surounding Treasure Valley. 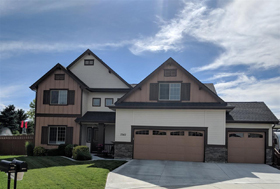 View immersive 360 virtual tours of Idaho real estate listings. 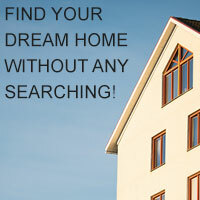 Find your perfect Idaho home without ever leaving your seat! If you like this site - please recommend it! Fill out our simple form and receive a free electronic relocation kit in minutes with Boise area information and links! These great tools and calculators can help make finding your perfect Idaho home hassle free! I personally have been relocated around the world as an employee and as a dependent so I can appreciate your anxiety! When I was in a position to choose where to raise my family, I knew it would be in the Pacific North West, but settled on Boise and am grateful! Bogus Basin Ski Area is only 16 miles from the edge of town with night skiing till 10pm; we have 325 golfing days a year; you can catch and eat fish from the Boise River in downtown; I go deer and elk hunting less than an hour from my home; white water rafting; excellent hiking and biking trails; low crime rate; and just an overall excellent quality of life and a perfect place to raise a family! Tell me your lifestyle and I will try to help match you up with the right community here in the Treasure Valley! Take a Virtual tour of my listings!